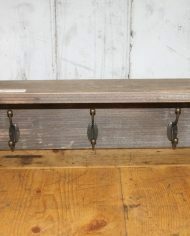 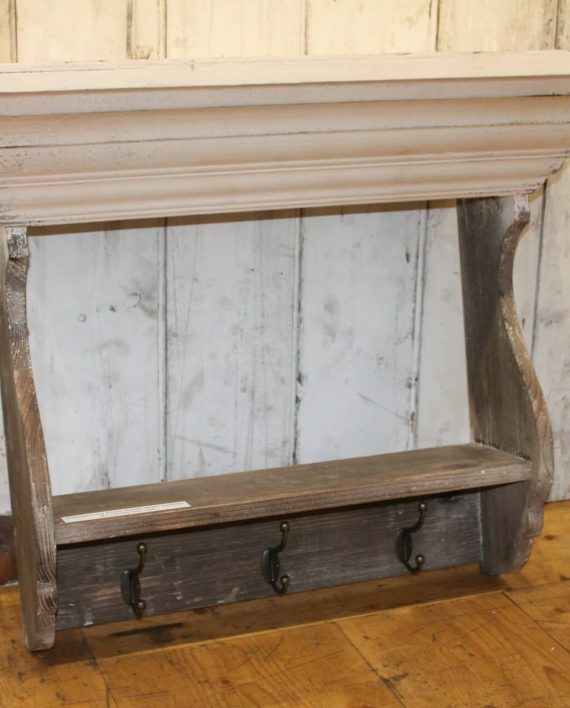 This stunning piece is hand made using reclaimed pine timber and 3 cast iron double acorn hooks. 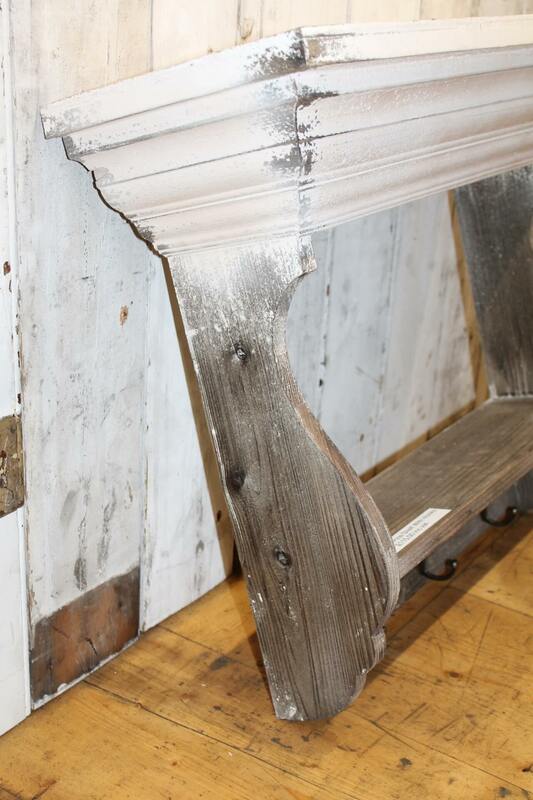 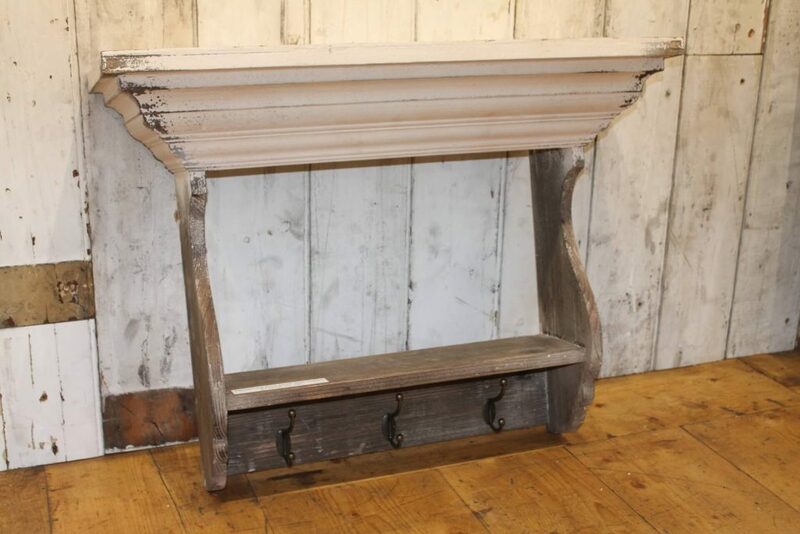 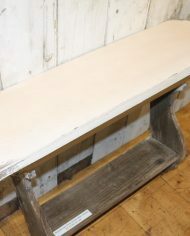 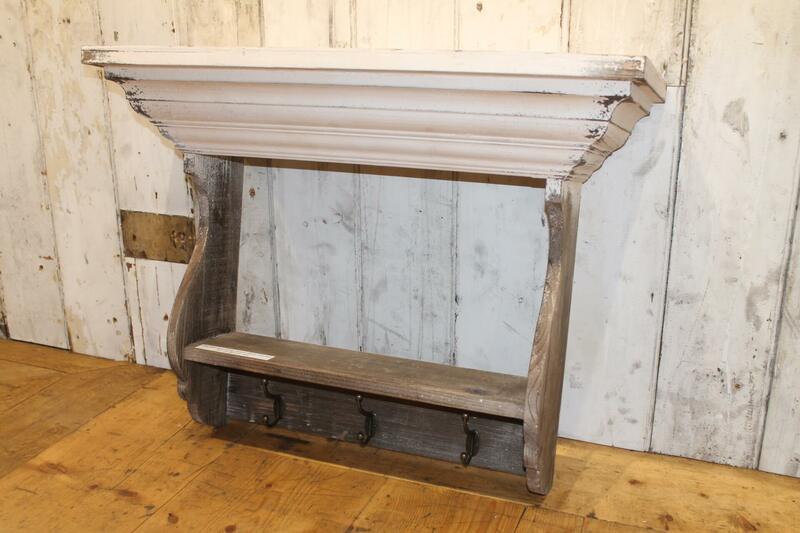 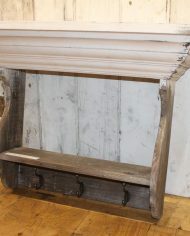 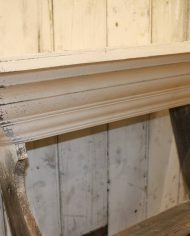 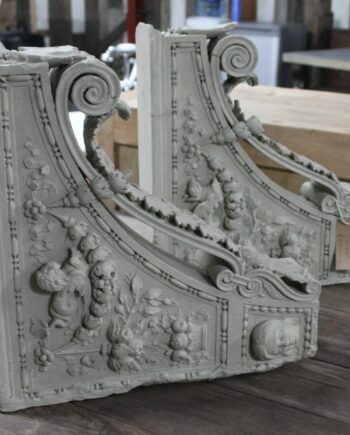 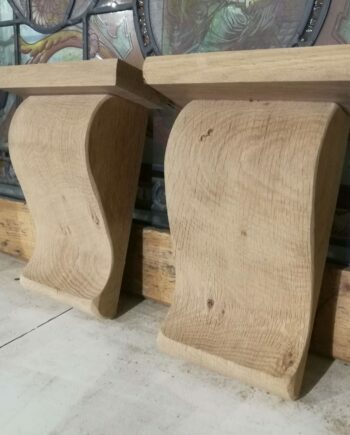 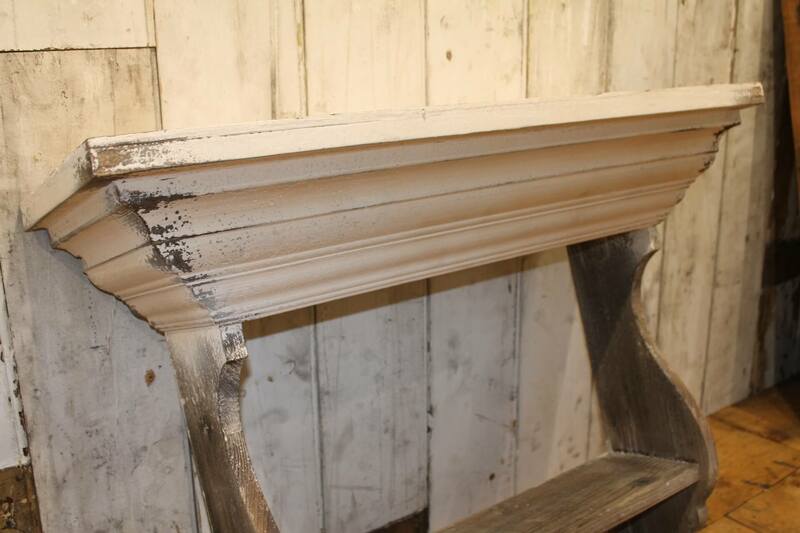 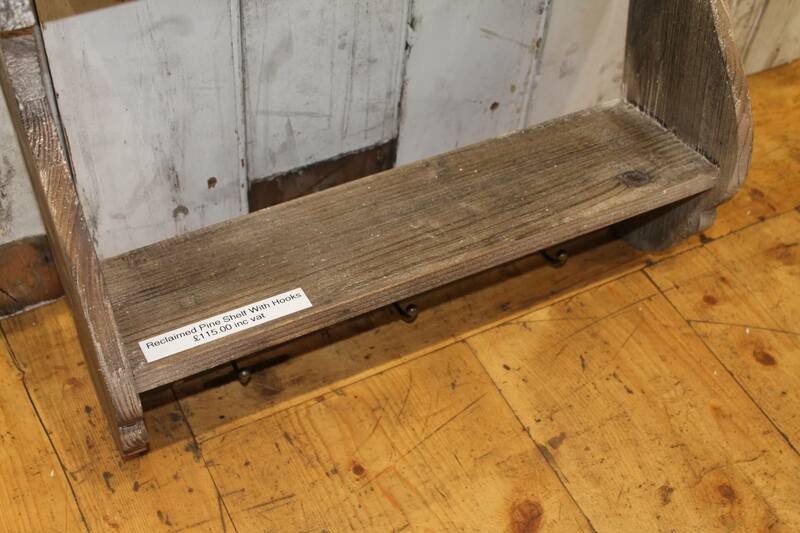 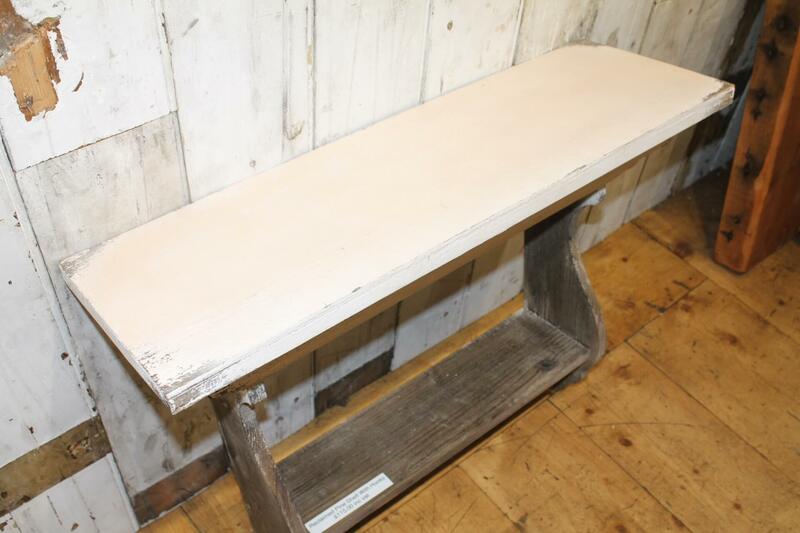 The timber used has a variation of a plain, rustic style and a “shabby chic”, distressed white painted style. 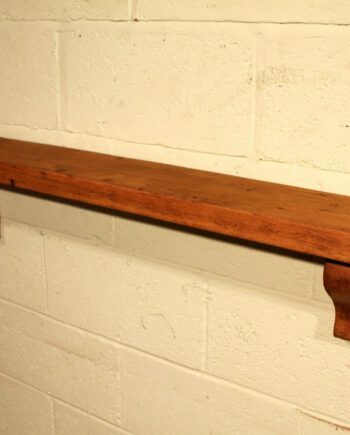 This gives this shelf / coat rack an excellent patina. 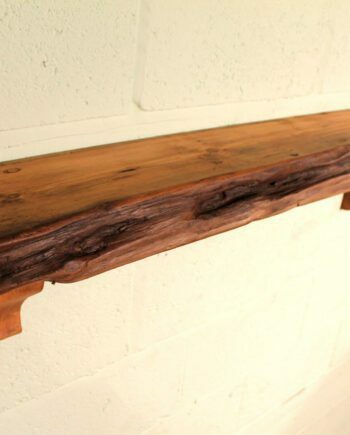 This will make a practical plus eye catching feature to any home. 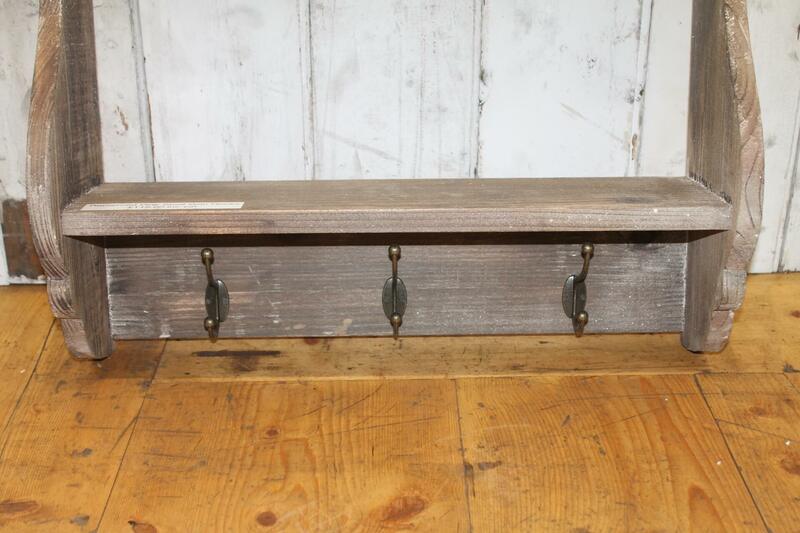 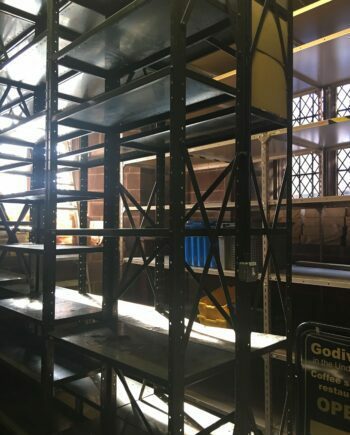 There are 2 brackets discreetly fixed out of sight to the rear for mounting.